Like other reviewers, I tried this in the wine tasting room and was awed by its amazing flavor. Just the right amount of oak and fruit flavors paired perfectly. I'm also a Malbec fan but this this wine has surpassed it. During one of my visits, I went to the wine tasting room and tried Tempranillo and immediately loved it!! During this visit I picked up one bottle and on another visit I picked up a couple more because it a great tasting wine. 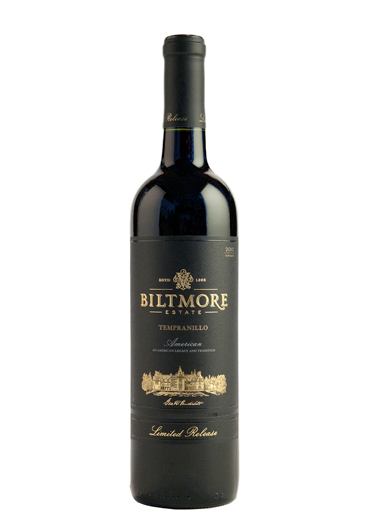 I recently bought a bottle of this wine while visiting the Biltmore Estates. Thought I might share it with daughter, but that's not going to happen. It's a great wine and I'm keeping it all to myself! My boyfriend and I are big red wine fans and we try new bottles weekly; this is by far the best flavored wine we've ever had. It's our favorite and we highly recommend it to anyone and everyone! It's a perfect balance of dry and fruity. We're in the Wine Club and received this in of our quarterly packages. What a nice surprise. Like the oak flavor, one of my favorites. Have been vey happy with all selections received. We look forward to receiving each delivery!